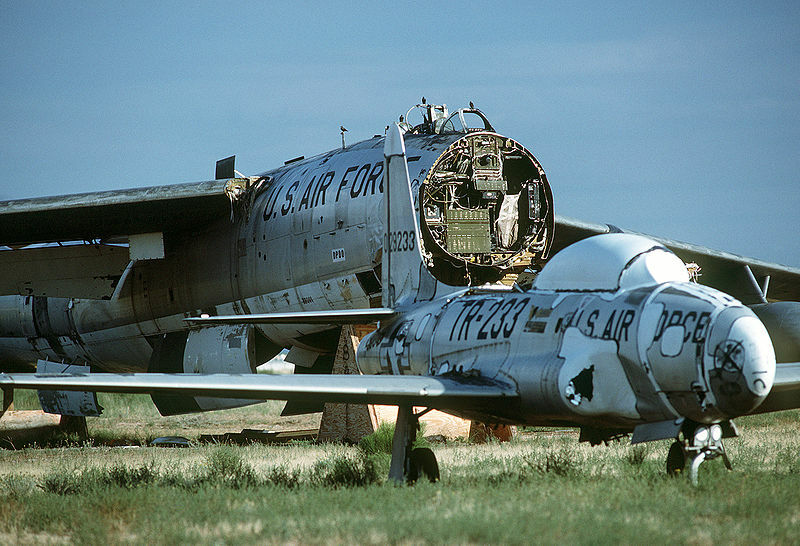 Image courtesy of Wikimedia Commons; U.S. Air Force “boneyard” in Arizona. The Death of the U.S. Air Force? The Air Force is taking a lot of incoming fire these days. The Boston Globe just ran an opinion piece that called for scrapping the organization. University of Kentucky scholar Rob Farley has supported the same, both in Foreign Affairs as well as his new book, Grounded. In simple form, the argument is that the Air Force organization is redundant, and that such redundancies ought to be the first to go in a budget-constrained era. A reasonable question is asked: “Why does the navy’s army have an air force?” Since there already is an air combat wing in each of the other services – why not just fold the Air Force’s portfolio into the Army and the Navy – just think of the administrative cost savings! Let’s start with some basic figures. In 2005, only about 5% of military aircraft were drones; today that figure is up to 31% and climbing. 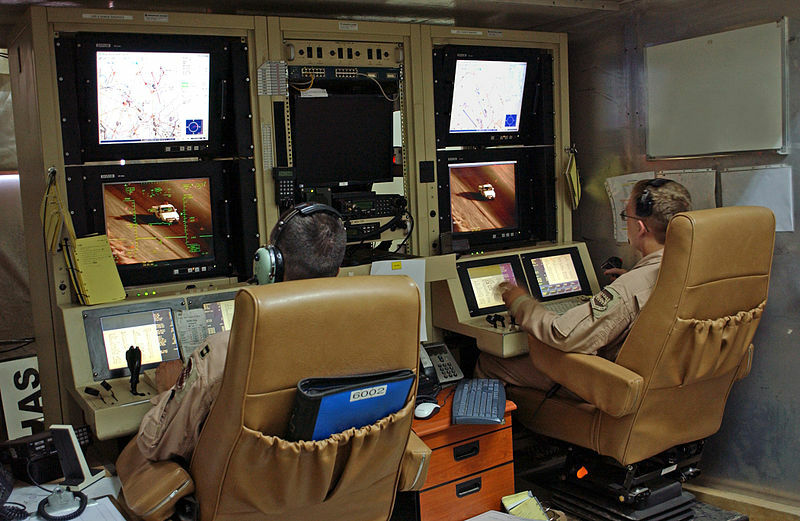 More importantly, the Air Machine Force is currently training more drone pilots than traditional pilots. [Note: Sorry, Air Machine Force, I know you prefer “remotely piloted vehicle,” but when all the major dictionaries prefer “drone,” that’s what the rest of us will use.] And, perhaps most interestingly, one of my exchange cadets from the U.S. Air Force Academy recently mentioned that they’ve taken down a traditional fighter aircraft in the mess hall there to make room for a drone. Thus, Air Machine Force cadets eat under the technology that has replaced many of them in the cockpit. There are many important questions that need discussing in this space: Are we moving away from the human control of warfare? Or is this just “what’s next?” This essay will not attempt to answer, but merely raise some of the challenges ahead. These powerful trends matter significantly to the members of the Profession of Arms that will serve in this new Air Machine Force.&nbsp; But they matter equally to the entire military because what is happening there is coming to the other services.&nbsp; The Air Machine Force is just the canary in the coal mine. If what you want is close air support in Afghanistan, why not build a solar-powered, long loiter aircraft that you can park at 60,000 feet with a whole bunch of GPS guided weapons on them so that the joint tactical air controller on the ground can send coordinates up to that thing and have them drop. You don’t have to refuel it, it can cruise over the battlespace for days on end. It would be objectively a better way to deliver airpower to a battlespace. What does it mean for the Profession of Arms if we are not in harm’s way or threatened with bodily harm? Does it matter? Is this just the next iteration in standoff technology, or is this something entirely new? “One of my other favorite stories is about a high school dropout. He dropped out of high school and he wanted to make his dad proud of him again. So he enlisted in the U.S. Army. The recruiting sergeant looked at his high school transcript and he asked him ‘what would you like to be in the Army?’ He said, ‘I’d like to be a helicopter mechanic.’ He looked at the transcript and said, ‘I’m sorry son, you’re not qualified to be a helicopter mechanic, because you failed your high school English class. Would you like to be an Unmanned Aerial Systems operator instead?’ He turned out to be incredible at this, he turned out to be a natural. It wasn’t that he was a natural, it’s really that he’d spent his entire life training for this playing video games. He was so good [at] it that they brought him back from his first deployment. They promoted him, they made him a Specialist, the second lowest rank in the entire U.S. military. And then they made him an instructor in the pilot training academy. Because of this technology, this young man found himself, he made his dad proud of him again, he’s serving his nation. The last issue the new Air Machine Force creates is the pervasive, negative optics which surround drone warfare. Many consider it unfair to visit organized violence on others without the corresponding threat to oneself. Akbar Ahmed’s book The Thistle and the Drone is a powerful argument for this point. One might also reflect on the question from an audience member at a Boston College event on civil military relations in 2009; she disparagingly referred to drone strikes as “institutionalized cowardice.” Accurate or not, this is a perception shared by many. It would be vindictive and incredibly unfair to sit back and enjoy the death of the human Air Force. One can imagine how this might happen: the other services celebrating the irony that the Air Force got eaten by the very technology it wrapped itself in. Many in the Army probably share Thomas P.M. Barnett’s view that if “there’s something truly valuable to contest, a country’s manned forces still need to occupy and control it; otherwise, nothing is achieved. 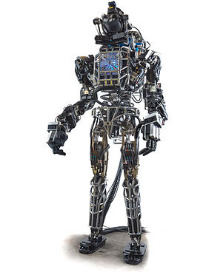 Wake me up when drones can set up local government elections in Afghanistan or reconfigure Mali’s judicial system.” In sum, the tech folks at DARPA can’t crack this landpower nut! Maybe they’re right. Consider the following occurrence, reported by Michael Lewis in Vanity Fair. On March 21, 2011, an Air Force captain took off as a navigator in an F-15 from a base in Italy “on his first combat mission.” He was heading for Libya and was eventually shot down over that country. Having had to bail out, Lewis reports that as the captain “floated down, he felt almost calm. The night air was calm, and there was no sound, only awesome silence. He didn’t really know why he’d been sent here, to Libya, in the first place. He knew his assignment, his specific mission. But he didn’t know the reason for it.” [Bold print added for emphasis]. If we desire to maintain our advantage over the drones, then this example from Libya is precisely what we do not want. The members of the Profession of Arms don’t simply “service targets.” We ought to continually strive to be skilled and discriminate conductors of the symphony of violence – that also know why the orchestra has assembled for the performance. If we don’t live up to this ideal, then maybe it is time to start sending in the drones.